4691 customers have given this product a 5-star rating. Of these, 4448 customers have written no texts or given their feedback in another language. 1197 customers have given this product a 4-star rating. Of these, 1159 customers have written no texts or given their feedback in another language. 170 customers have given this product a 3-star rating. Of these, 167 customers have written no texts or given their feedback in another language. 28 customers have given this product a 2-star rating. Of these, 27 customers have written no texts or given their feedback in another language. 9 customers have given this product a one-star rating. Never had a problem with these. No fuss and no nonsense?they just work. My Les Paul and my Strat sound amazing whenever newly strung with them, and they feel awesome to bend on. That tone, of course, doesn't last long if you're playing 2-3 hours or more per day, but I find with Ernie Ball they actually also sound good as they age and wear out. Different, but good, which is why I choose them. With other strings I've tried they really sound dull after a week. 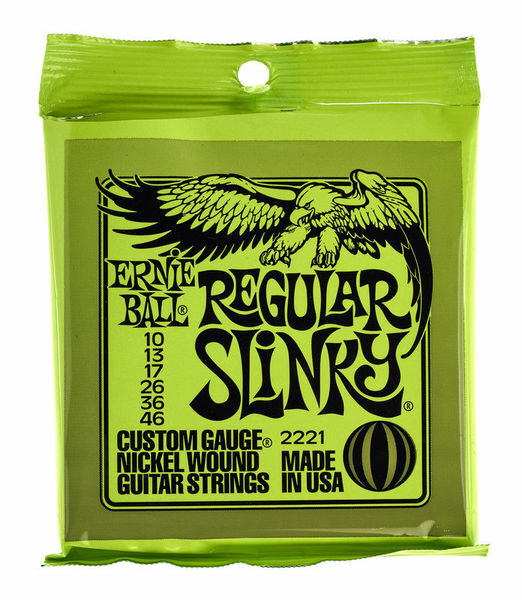 The ability to customise your gauge by buying individual strings is a brilliant plus also with these. I could not get my SG to tune to C sharp with the readily available gauge sets I found on the net. 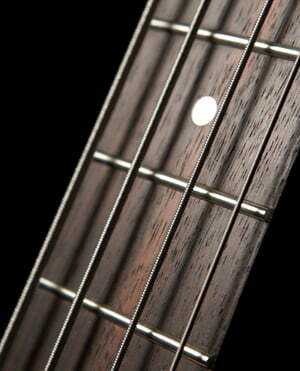 With Ernie Ball I could customise my third string to work properly and intonate well and bend properly. I use exclusively Ernie Ball strings. This gauge goes on my shorter scale length guitar (24,75 inches). On this guitar, they handle downtuning pretty well, and also bend well. I've had them sound and look fresh for up to two months. I also like the fact, that each strings has its individual paper package - they are not tied together. This makes unpacking and unwinding much easier and causes less damage. The price is unbeatable. However, for longer scale guitars, I would recommend using the 9-46 set. ID: 104573 © 1996–2019 Thomann GmbH Thomann loves you, because you rock!